The set opens and closes with versions of a tune called simply ‘22’. This was composed in response to the shootings of Utoya Island on 22nd July 2011 – and with the recent news of a shooting in New Zealand, the piece gains a universality in its response to shattered lives and the shock of mass shootings in places where people do not believe such things could happen. In both of these tragedies, the shock was the complete dislocation of the everyday and shocking unexpectedness of these mass murders. This collision of the everyday and the shock of tragedy is a hallmark of the novels of Jan Kalman Stefansson (whose novel ‘Heaven and Hell’, for example, has been translated into English and is well worth getting hold of). Stefansson won the 2005 Icelandic Prize for Fiction with his novel ‘Summer light, and then comes the night’ (which gives this set its title, and track 8). ​In terms of the music, one senses this tension between the everyday and looming tragedy in the haunting lightness of the tunes, particularly in Fraanje’s delicately lyrical piano playing, and something deeper and more sinister in the rhythms that Stronen subtly weaves into the pieces and Eilertsen’s rumbling bass tunes. In the press release, Eilertsen points out that, “There is almost no theme-solo-theme playing on this album. It’s more like a river or whirlpool of moods that carries you with it.” Fraanje, of course, appeared on the magical album ‘Rubicon’ a couple of years ago. On this set, his playing is even more beautiful and the understanding within the trio is impeccable. 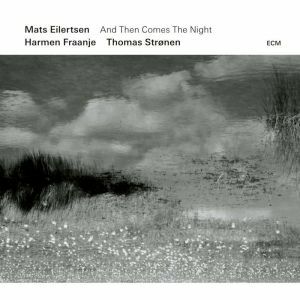 You expect Stronen and Eilertsen to have a deep understanding (stretching back to their time in the late 90’s in ‘Food’, with Arve Henriksen and Iain Bellamy), but on this set all three work from what seem to be quite slight sketches and draw this into totally compelling tunes. There are some pieces with a longer pedigree, like ‘The Void’ (track 5), and some that feel more fully composed, like ‘Sirens’ (track 7), but overall this has the feel of three musicians completely in tune with each other producing music in the moment. This is easily going to be one of the best CDs of this year and one that I will take great delight in returning to many, many times.